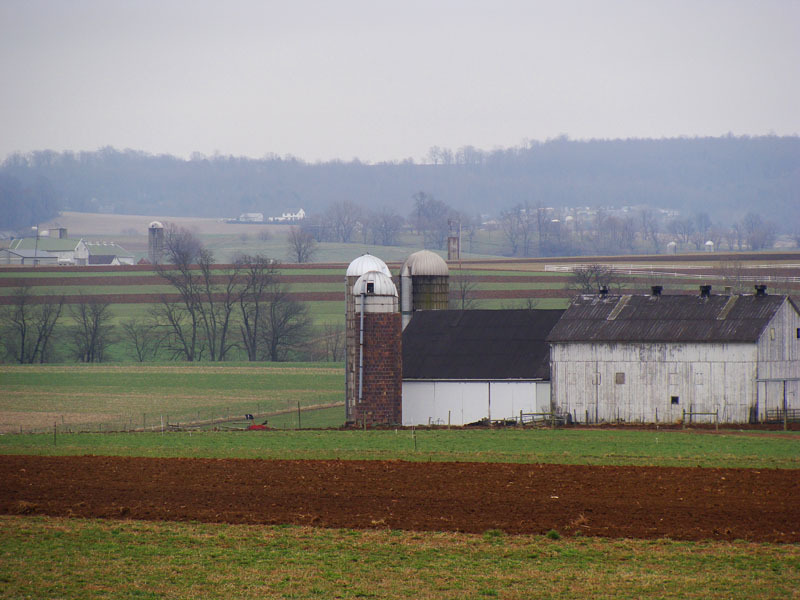 Saturday was a cloudy day out in Lancaster County. The ground was wet and there wasn’t much work going on in the fields. Plus it was the Gap Mud Auction. I did not go as I find this auction to be overwhelming due to it’s location. It is at a major intersection and the feeling and sense of community is lost with all the traffic. That is more my problem than anyone else’s as it is a highly attended event. Just not by me. Instead I traveled around the countryside on my way to Sylvan’s, taking some photos. And here they are. 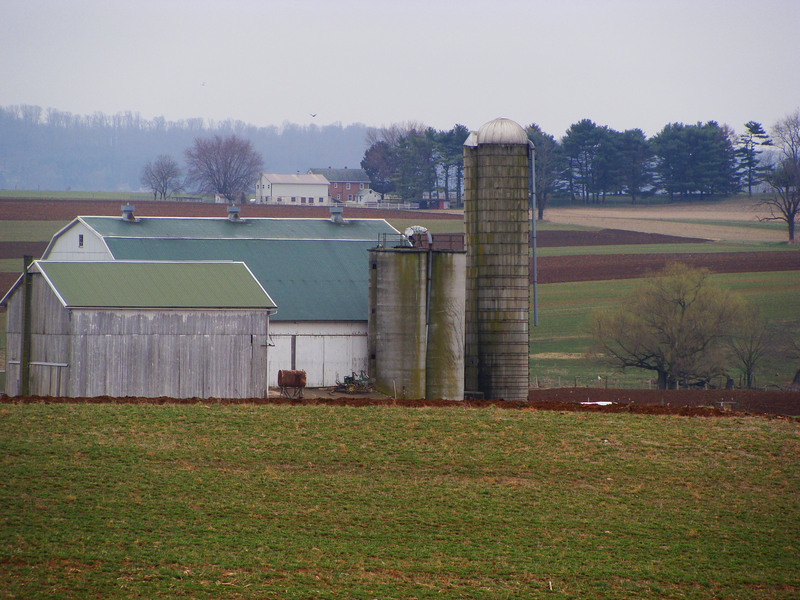 I liked the green roof on these barns. 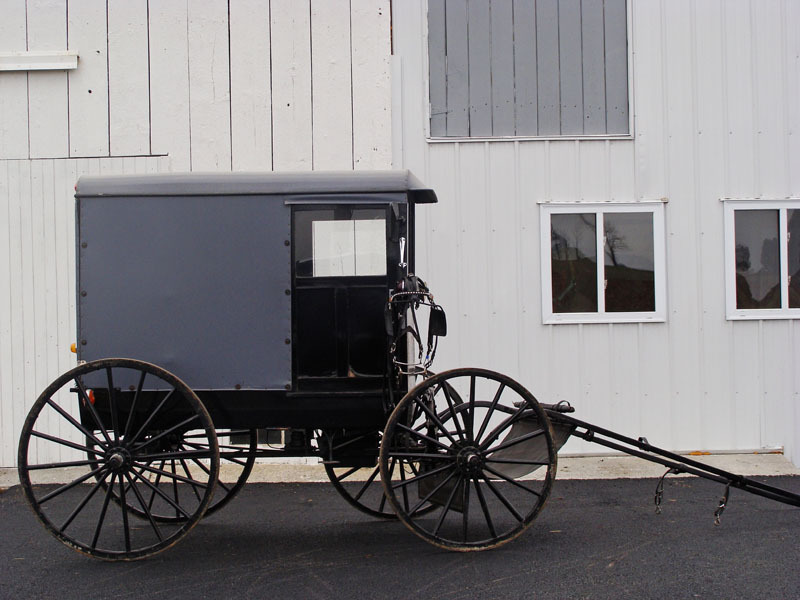 A quintessential buggy againt a white Amish barn. 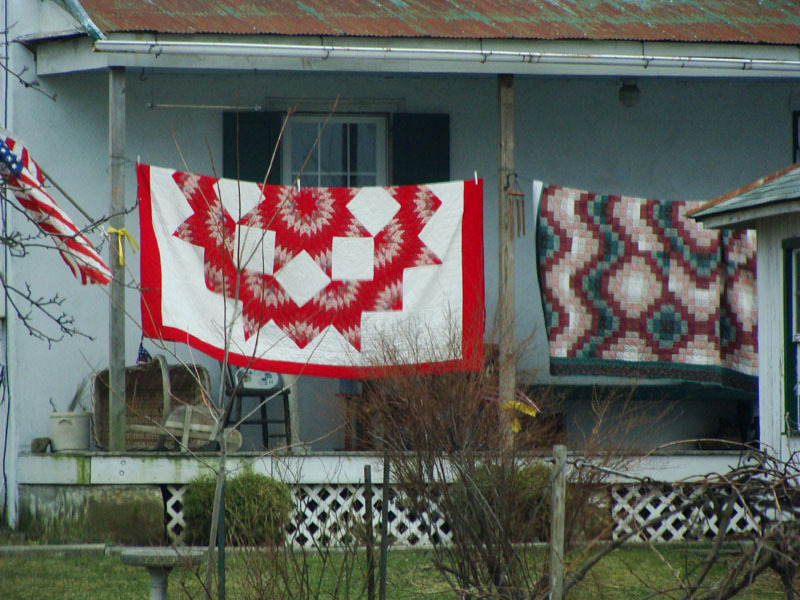 A few quilts airing out on the line. Nancy has picked her wedding day in November. It will be the first Amish wedding I will attend. I am so happy for her, and her boyfriend is a really nice guy. When I look at her compared to my oldest daughter of the same age, there is such a difference. Nancy is ready to be a wife, mother and member of a community. She has worked towards this her entire life. And quite frankly, I want the same thing for my daughter however, it will be a few more years of college and experimenting, possible heartache and disappointment before she gets to that place. By then Nancy will have a few children. I can’t say which is better – I can only say that there is a peace and certainty about Nancy’s place in the world that my daughter will not have for a long time.